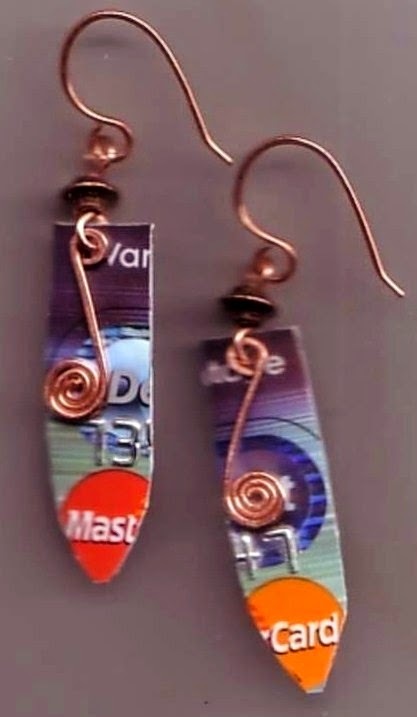 I haven't been in the mood to create jewelry for a while now. 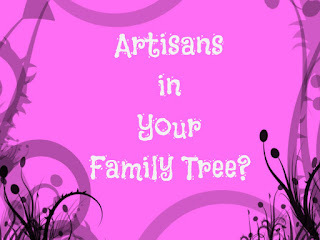 That doesn't mean I'm not still twisting and coiling and hammering wire. I'm not shipping orders either, but I did find a way to use tissue and packing tape. (I can be really resourceful sometimes) If I can get the technical part right, I'm going to upload a few pictures to let you see what I've been doing. In case you can't figure it out, it's a Mother's Day card. I made it with a few reused bits of paper and adorned those with some of the wire work I should be doing for earrings and bracelets and things like that. 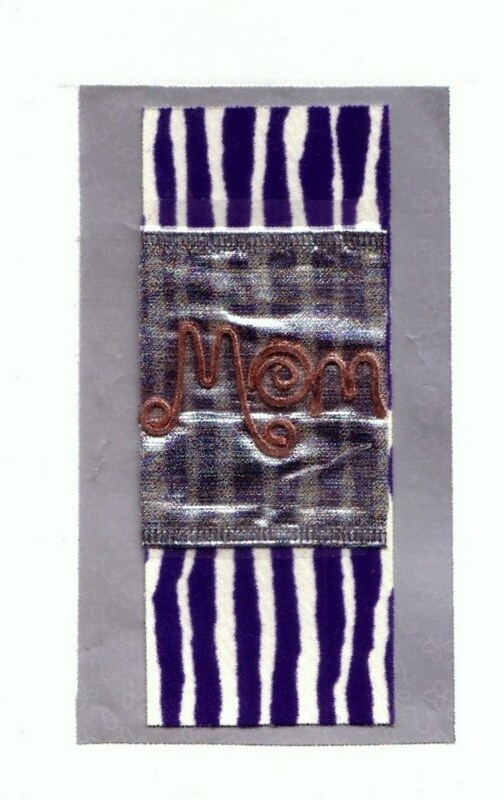 I formed "Mom" with wire, added it to a wide piece of clear packaging tape, then taped it to a piece of metallic ribbon and that gaudy, yet endearing, animal-striped paper. I mounted all of this on a blank card, and voila!! 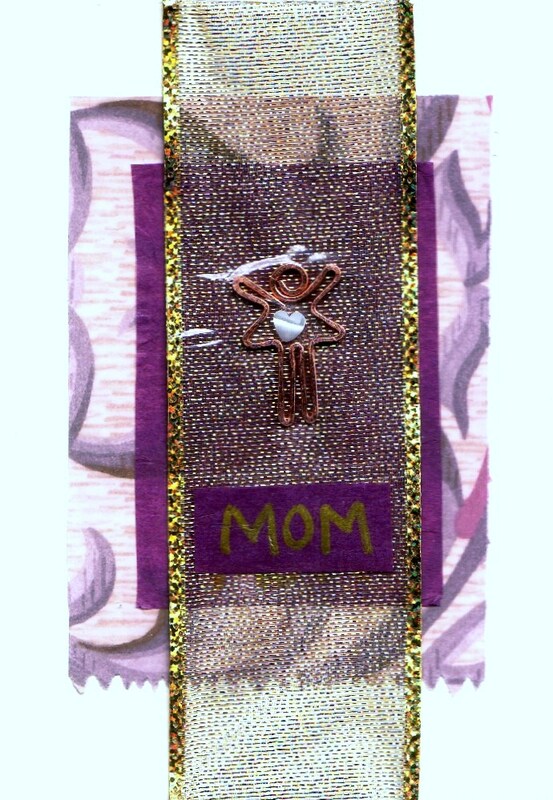 a Mothers Day card like no other! Here's another one. For this one, I reused a pretty paper bag, leftover tissue paper, a gold mesh ribbon and added in a little wire woman with a mother of pearl heart. I may not be creating jewelry, but I think of these cards as bejeweled. Will I ever recapture my lost my inspiration? I'm not sure. But I am busy creating something...and that's all that matters.